How’s your summer going? I’ve been working on everything except the things I probably should be working on so far. Oh well! 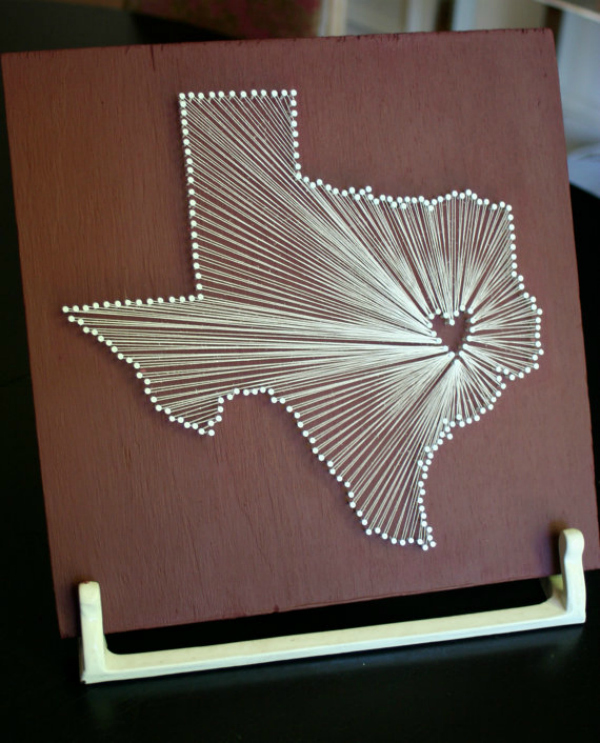 One of the things I have been working on is string art. 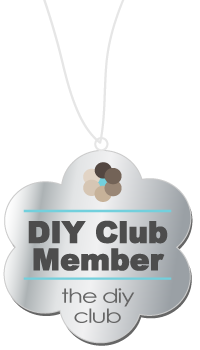 You’ve probably seen them posted all over pinterest and etsy and everyone’s blogs so I thought I would try my own. 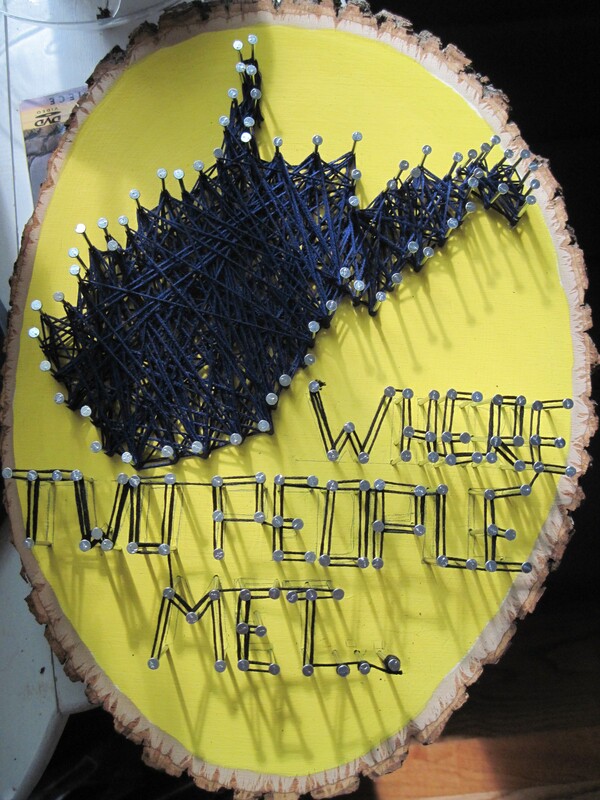 Anyway, I now know why no one has ever done West Virginia – squigliest state lines ever thank you rivers. (Sorry for the quality, blame my phone :P) These are natural wooden slabs with the bark, lichen, and moss still clinging to to the edges making the coolest frame. I think these were $9.99 each. 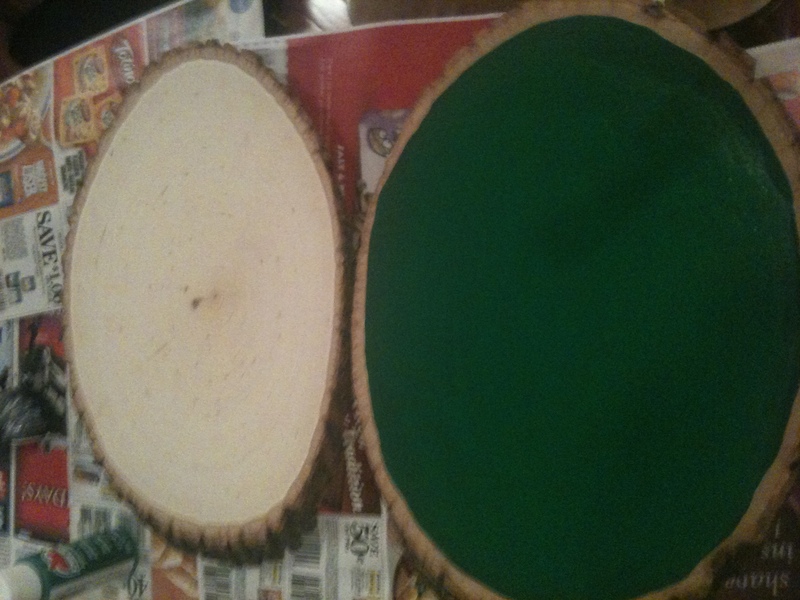 In this picture I’ve already painted the inside of one green and I’ll explain why in just a second. Wow. I need to look at getting some better lighting. 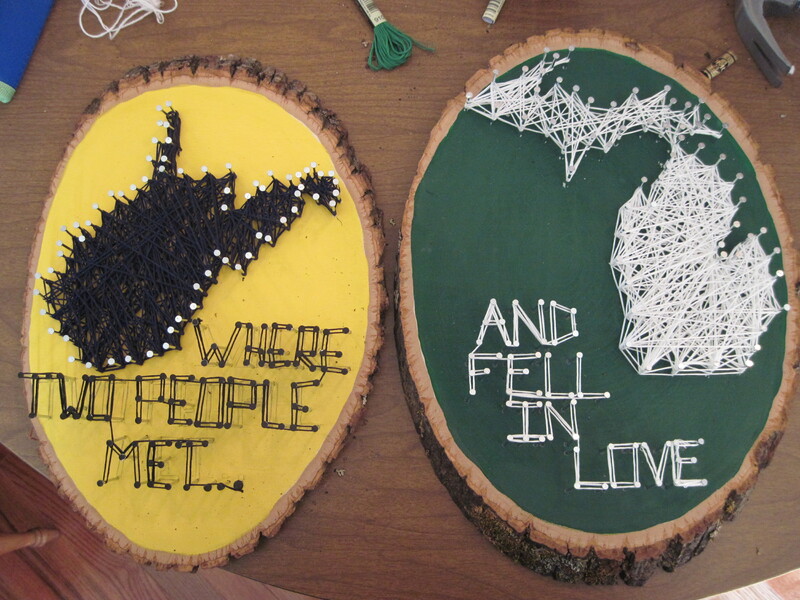 So in order to do what I’ve done so far is run to the library and print off a nice outline of WV and MI and then to Jo-ann’s where I picked up the following. 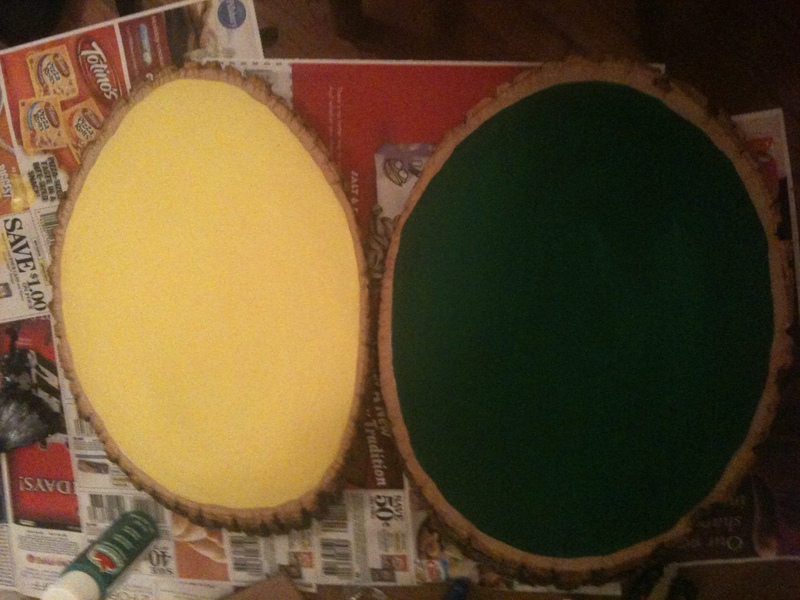 I painted the slabs and let them sit over night to dry. In the morning I tapped the state outline over the slab and hammered in the nails along the outline. You could cut it out and use it as a stencil if you wanted to. 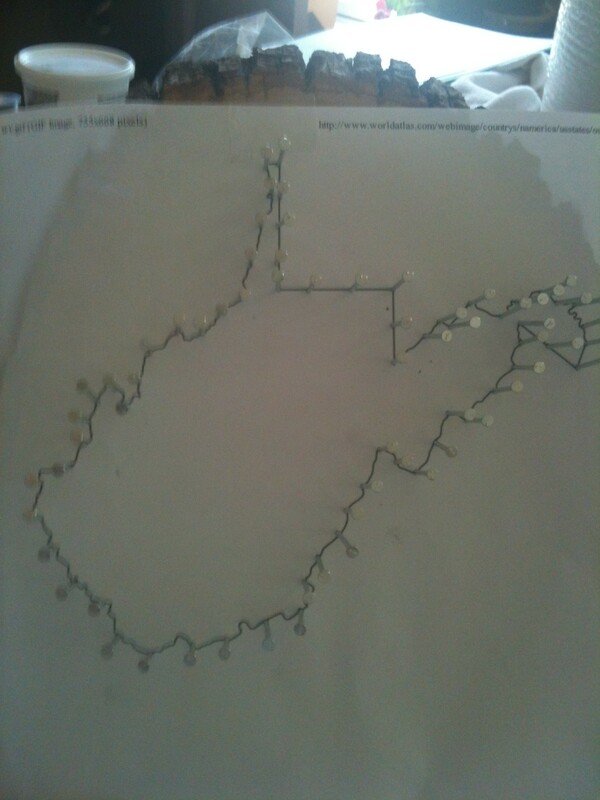 I then ripped the paper off the slab and all my nails were very squiggly in the beautiful, familiar outline of WV. 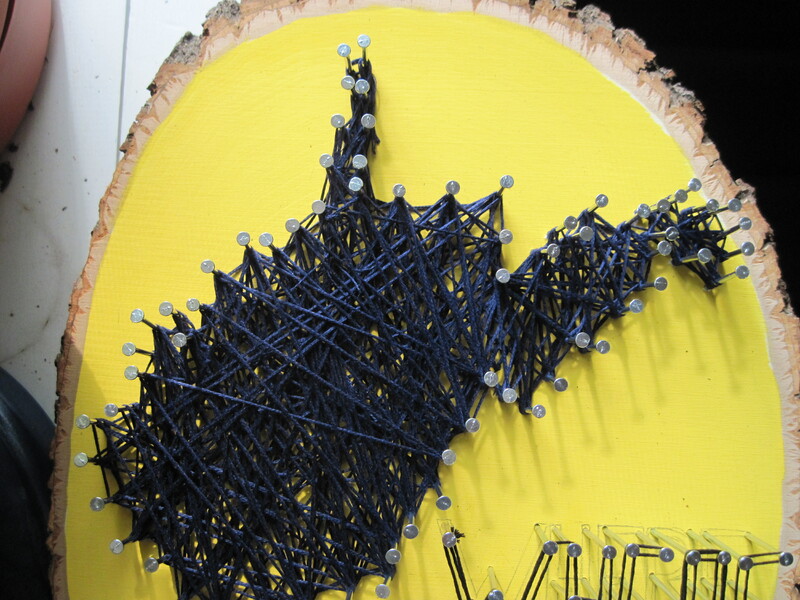 I wrapped the embroidery string around each nail to make an outline first and then I started filling in the center – tying a knot only around the first nail. When I ran out of the first set of string it wasn’t nearly enough so I just tied the next bunch on the end and continued until I felt it was covered well enough. To finish I tied the string to a nail again and tucked the ends in. I probably did it and re-did this about five times before I was satisfied with the way it looked so experiment a little bit. 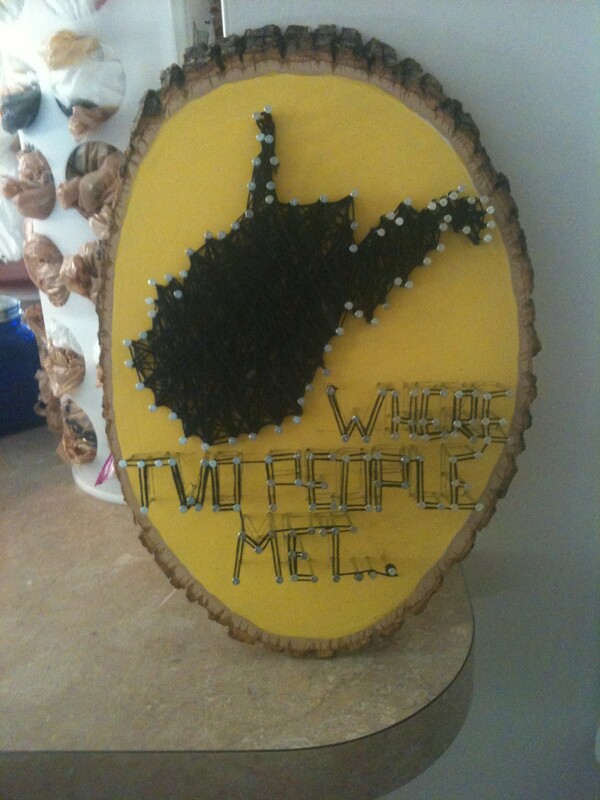 Mine was too small to do the heart for Morgantown but that didn’t keep me from trying. I’m also still debating on the letters. I feel like the nails make it almost too messy. Part of me really likes it, but then another part of me wants to take it down and get the calligraphy pen out. Let me try to get a better picture. 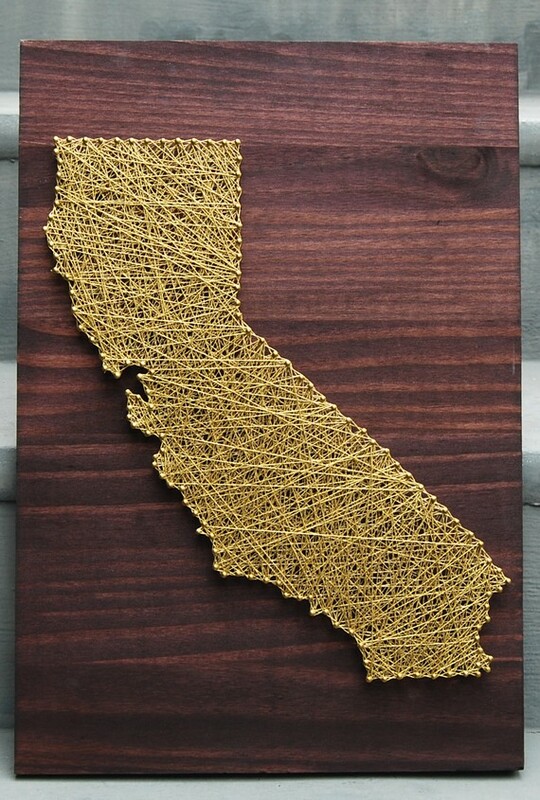 I’ll post Michigan when I get it done. Not bad for the first of twenty three. Let me know what you think.